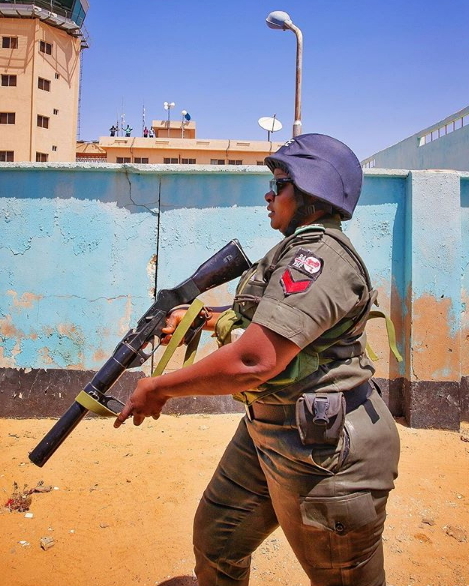 A female mobile police officer spotted during the wedding ceremony of Ajimobi’s son and Ganduje’s daughter in Kano recently. She looks very fit for the job. Lol. No be small something! She need to loose some weight, to look fit.